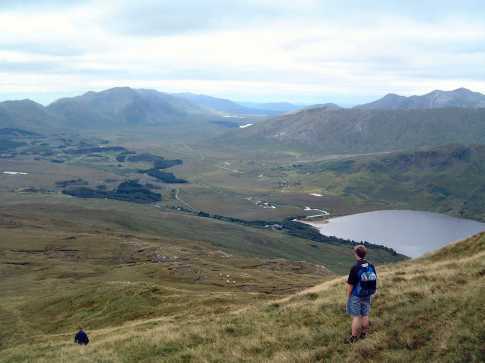 Garraun is situated in the less-visited northern half of the Twelve Bens, separated from the more prominent hills by the N59. 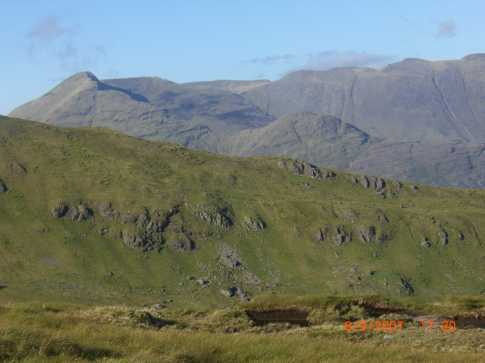 A flat and featureless summit with two small cairns. It is unlikely to be climbed by itself but will more usually be combined with either or both of Benchoona and Garraun South Top. There are a number of obvious routes; perhaps the most straight-forward way is from parking on the road at the southern end of Lough Fee (L804 596 A) and heading north along a farm track skirting the western side of the lake. 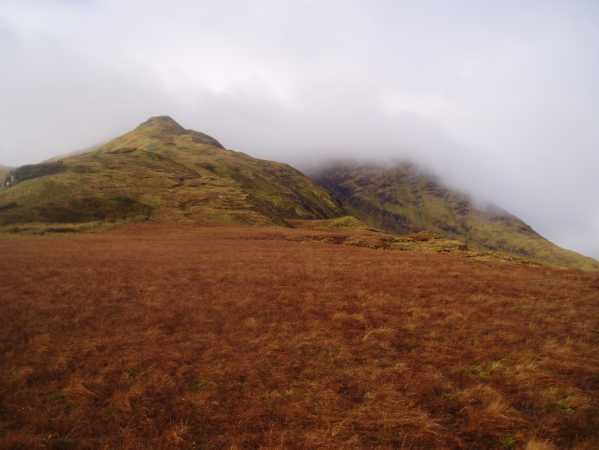 Just before the only inhabited house, head west, over a number of false tops to the summit. A more challenging route begins from the northern end of Lough Fee (L780 621 B), and ascends the eastern spur of Benchoona before heading south to Garruan itself. This route is best left for a dry day with good visibility. It is also better for ascent than descent. Approached from L Fee, first climbing up the steep grassy ridge to the summit of Benchoona. This is a varied and sizable top with a number of small loughs and cairns - in stark contrast with the top of Garraun which is non descript. There is a drop down to the SE to the col containing another small lough. 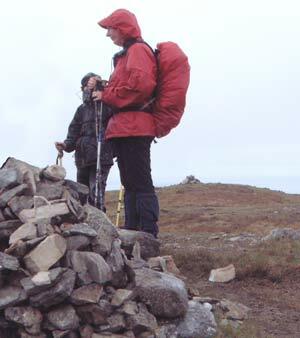 There is a short climb to the summit of Garraun with its two small cairns a short distance apart. The only saving grace in the contrast with Benchoona are the views which open up even further. There are endless swathes of nothingness in the low ground beween the high mountains in every direction. 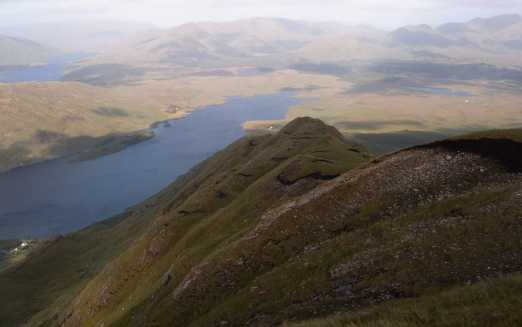 The vista takes in the Bens, Partrys, Bengorm, Sheffreys and Mweelra with the Bens having the strongest magnetism.